You could save $200 or more! As an independent and impartial insurance broker, ThinkInsure gets you the best quotes and coverage for tenant insurance. We can get a range of tenant and renters insurance quotes for you, and you choose and save. It's as easy as that! Getting your tenant insurance through ThinkInsure means you'll save money. And who doesn’t want cheap tenant insurance, right? Savings : Getting renters insurance quotes from different insurance companies allows you to choose one policy that costs less than all the rest. Save money with ThinkInsure. Selection : Comparing unbiased quotes from top Ontario insurance companies helps gives you the confidence you're looking at the best tenant insurance coverage and rates available. More selection means greater savings. Service : After you talk to a ThinkInsure professional, you'll notice our service difference. 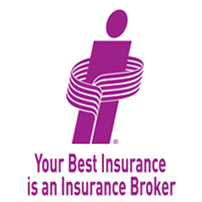 Each customer gets a dedicated personal service representative to take care of their insurance needs. Our mission is your satisfaction. Getting Advice & Coverage Is Easy : Call a ThinkInsure insurance expert at 1-855-550-5515 to get a quote or to ask questions you may have about tenant or renters insurance. We want to make getting insurance for your apartment or rental as easy as possible for you. Compare renters insurance quotes online OR call us toll-free 1-855-550-5515 and a ThinkInsure insurance expert will be happy to help you. When it comes to tenant insurance in Toronto, Ottawa or anywhere else in Ontario, one thing is for sure – if you are a renter, then you should invest in renters insurance to protect your personal belongings. Many renters incorrectly assume that their personal belongings are covered under their landlord’s insurance policy for the property. This is not true. Regardless if you are renting a room in a house while attending school, are renting an apartment, townhome or basement apartment, tenant insurance will provide you with the peace of mind in knowing that you are covered. Let ThinkInsure help you get the cheapest tenant insurance rates! Why Do You Need Tenant Or Renters Insurance? Tenant insurance is your primary protection against loss. Tenant insurance covers what your landlord’s insurance policy doesn’t – your personal belongings. Without a tenant insurance policy, you will not have coverage for your personal belongings – including your TV and other electronics, clothing, furniture and more. These items are not covered by your landlord’s insurance policy. Tenant insurance helps pay for other costs after a loss. Rental insurance provides coverage beyond the loss of your belongings. For example, a fire in your apartment forces you out while the damage is being fixed. Where will you stay? Where will you eat? Tenant insurance pays for additional living expenses such as hotel bills, meals in restaurants, and moving costs. Tenant insurance provides vital protection against lawsuits. You may be held liable for any damage you cause to your building. You could also be held liable for unintentional harm caused to others who live in or visit the property. Possibly of greatest importance, tenant insurance provides you with liability coverage. Say, for example, you were responsible for a fire that extended to other apartments in the building and other tenants’ contents. Or you were sued after a visitor slipped and fell in your apartment. Standard tenant insurance policies provide liability coverage up to $1 million. Extra coverage that increases your liability limit to $2 million is often available. Increasingly, landlords will require tenants to have renters insurance as a rental condition in the lease. Without coverage, you won’t be able to rent the place you want. This is common in Toronto, Ottawa, and most other cities in Ontario. ThinkInsure will find you a range of the best insurance quotes for your needs. You then choose the policy that’s best for you at the premium you’re most comfortable paying. 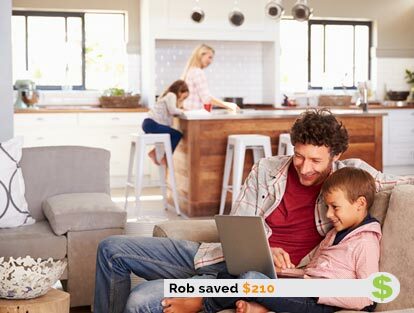 You get peace-of-mind and savings. Save even more by bundling. When you purchase a tenant insurance policy and car insurance policy from the same insurance provider, additional savings come your way. How Much Does Tenant Insurance Cost in Ontario? To ensure you get the cheapest renters insurance rates, your best move is to shop around or talk to an insurance broker who can help you compare tenant insurance coverage options. Call to get additional tenant insurance discounts and expert savings advice. A quick call could save you a lot more! Thousands of tenants and renters in Toronto and all over Ontario trust ThinkInsure with their insurance coverage. Our team of friendly insurance experts are here to ensure you get the best rates, coverage and service in Ontario. What’s The Difference Between Tenant And Homeowners Insurance? Tenant and home insurance are not all that different. They both provide coverage for contents, as well as for additional living expenses and liability. The one big difference is that the homeowner’s insurance policy covers the house – plus attachments such as a garage or shed. Myth 1 : I don’t have enough stuff to need tenant insurance coverage. Myth 2 : Renters insurance will only cover my personal belongings. Myth 3 : My landlord’s insurance will cover me. Myth 4 : Tenant insurance is expensive. Each one of these myths are FALSE! If you have questions about getting tenant insurance quotes, want to learn more about your renters insurance policy, or want to get cheap renters insurance, contact a ThinkInsure broker today! What's the difference between Basic Liability coverage and Contents coverage in tenant insurance? A tenant insurance policy should include both. Basic Liability coverage provides protection if you or your guests cause damage to your building, including your unit. Without this coverage, you could be sued for repair costs and financially responsible for the entire bill. Contents coverage replaces your belongings in the event of total loss or damage. People who decide not to buy contents coverage often fail to recognize how much it would cost to replace everything they own, even if their impression is that they own little of significant value. 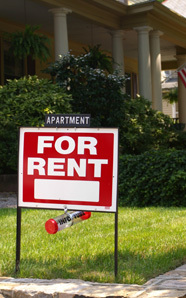 Can a landlord make renting conditional on having Tenant insurance? In Ontario, the short answer is yes. While Ontario’s Residential Tenancies Act doesn’t require contents insurance, landlords do have the right to insist on seeing proof of tenant insurance as a condition of renting or subletting. And the Ontario courts have found that if insurance coverage is required in the lease, letting it lapse can be grounds for eviction. What if, say, my faulty toaster is found to be the cause of a major fire. Does the landlord’s insurance cover my claim for losses? Bad news on two counts if this occurred. First, as a tenant you’re responsible for getting your own insurance to cover any losses surrounding your own belongings, no matter how the fire was started. But secondly, as a tenant you’re also legally responsible for any harm you cause to the apartment, the building, and to any who live or visit there. That faulty toaster would be linked to harm you caused, leaving you open to serious liability. All of which makes having tenant’s insurance an important priority as a tenant. Am I responsible for any damage if I sublet my apartment? While most tenants will recognize that a hole in an apartment wall is their responsibility – no matter who made it – they don't realize that something as commonplace as an overflowing toilet that does damage to their apartment (as well as the one below) can also be their responsibility. As a tenant who has signed the lease or rental agreement, it's important you protect yourself by buying tenants' insurance. Start saving on your tenant insurance. Get a 1-855-550-5515 and a ThinkInsure insurance expert will be happy to help you.